Installing a bathroom vanity is certainly one of the best home improvements you can make. 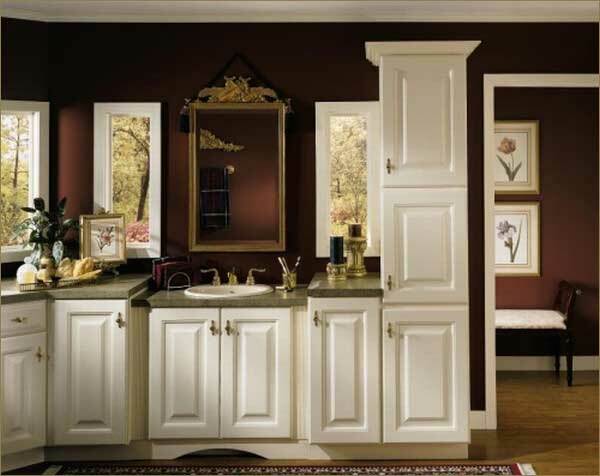 Choosing a bathroom vanity, however, can be quite difficult. With so many options, how can you decide what your bathroom needs? Consider who will be using the bathroom in question. A guest bath doesn’t require much storage space, while a family bathroom does need ample storage. A master bath can be tailored to suit one or two people (twin sinks?). Also consider a lower vanity for a bathroom that is primarily used by children. Consider the size of the bathroom. A smaller bathroom needs to be efficient, while a larger bathroom allows freedom to indulge yourself. Efficient use of space versus aesthetic appeal is a trade off you need to consider. What type of material do you prefer? Do you want something natural, or something clearly artificial (cool or clean, both excellent choices). Most materials for vanities are water resistant, so you have many options. Choose a style that is right for you. This is usually the most difficult part of the process. We touched on this topic with materials, but vanities come in so many shapes, sizes, and styles that choosing one can take some time. The only advice I can give you is to consider your choice carefully. Outer Banks Custom Kitchens can help you with your bathroom remodeling. We have been installing and remodeling bathrooms on the Outer Banks for decades and can give you the bathroom that is perfect for your home. Outer Banks Custom Kitchens is your kitchen and bathroom company in OBX.